This was controversial, but it wasn’t grounds for being declared a heretic. However, Bruno crossed a line when he followed his argument to its logical conclusion: if there are an infinity of worlds, and if some worlds have sentient beings created by God, then wouldn’t these planets also need to be saved by the personification of God? By, well, alien Jesuses? (Bruno, its important to remember, wasn’t an atheist—just a highly unconventional Christian). 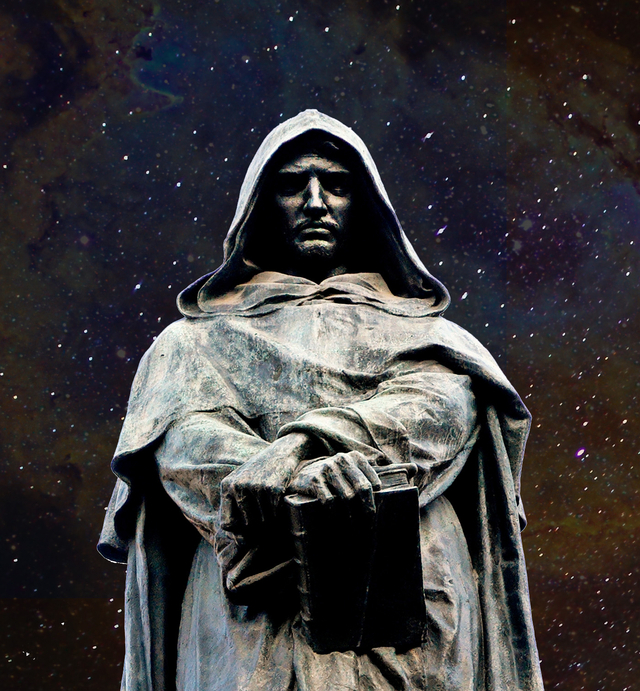 Giordano Bruno was burnt at the stake in 1600 in Rome's Campo de' Fiori, where his famous memorial statue now stands. Now that – essentially the theory of an infinite number of intelligent beings worshipping an infinity of extraterrestrial Gods that are the various incarnation of the one Supreme Being – is the sort of thing that got you burnt at the stake in the sixteenth century. Especially if you were a touchy, sarcastic Neapolitan. And so it came to pass. In fact, though, what Bruno was proposing was actually the feel-good variant of our modern vision of the cosmos. Its fun to believe in aliens, especially if we believe that they are essentially like us. Our own history as a species becomes part of a greater story that gives meaning to our existence. As Ortberg’s piece highlighted, it’s a lot less fun to believe that we're matter which randomly became sentient amidst an endless void interspersed by icy rocks and balls of shrieking gas. Strapped onto Voyager is a letter, a message that its conceivable to imagine being the last surviving artifact of the entire human species (if we accidentally blow up the solar system, say). The author of that letter was effectively serving as the spokesman for every human who has ever lived. If extraterrestrial life ever finds and decodes the message as intended, they may well assume that he was one of the greatest beings of Planet Earth, a paragon of our species and of all that we stand for. His name was Jimmy Carter. 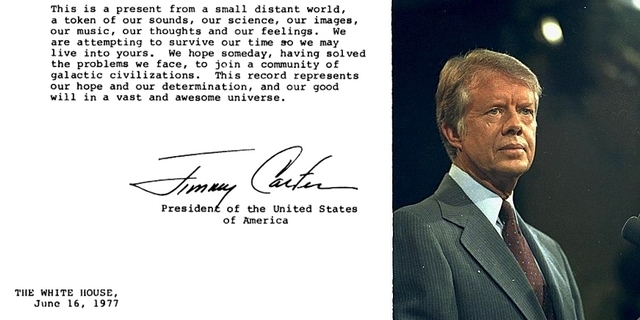 “This is a present from a small distant world” to an "awesome universe," Carter wrote in 1977, ever the courteous Southerner. Star Wars had hit theaters a couple months before, and you can detect its influence in the President's choice of words: “We hope someday, having solved the problems we face, to join a community of galactic civilizations,” he enthused. Carter also assumed the mantle of cosmic DJ, inviting any beings who found Voyager to give its golden LP a spin. But what happens if there are no other civilizations, no alien Jesuses, no man-bats on the moon (as an 1830s hoaxer claimed), not even any squiggling strands of RNA or single-celled organisms floating in the primordial seas of some other pale blue dot? Does empty space have a history? 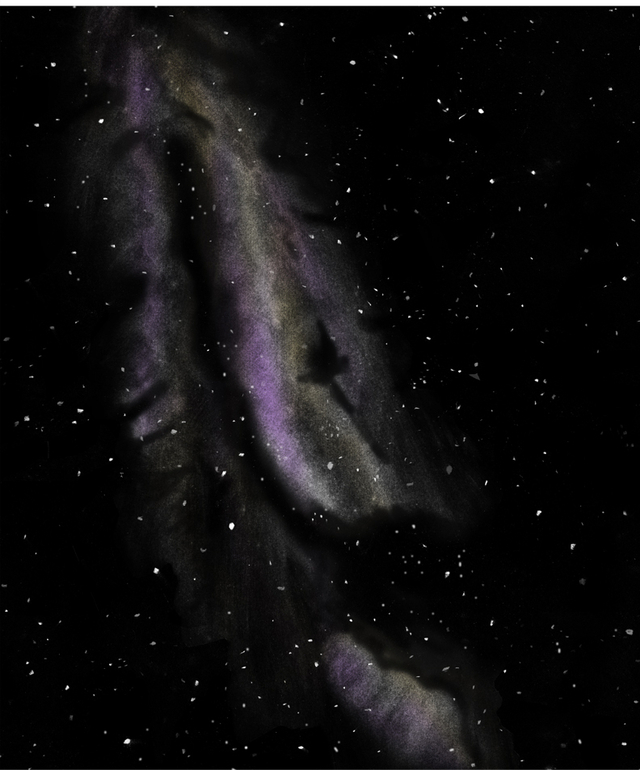 Or does history only begin when sentient beings push back against the void? 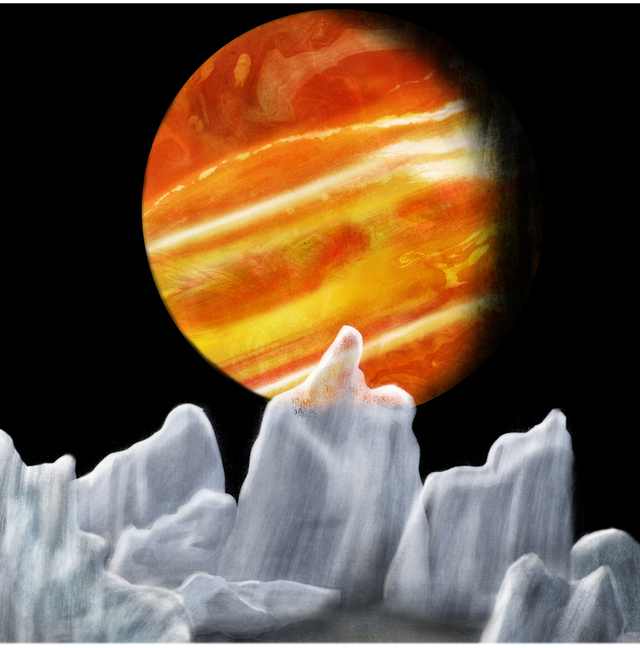 Perhaps we can imagine Voyager as an emissary not only of the human species, but of history itself. 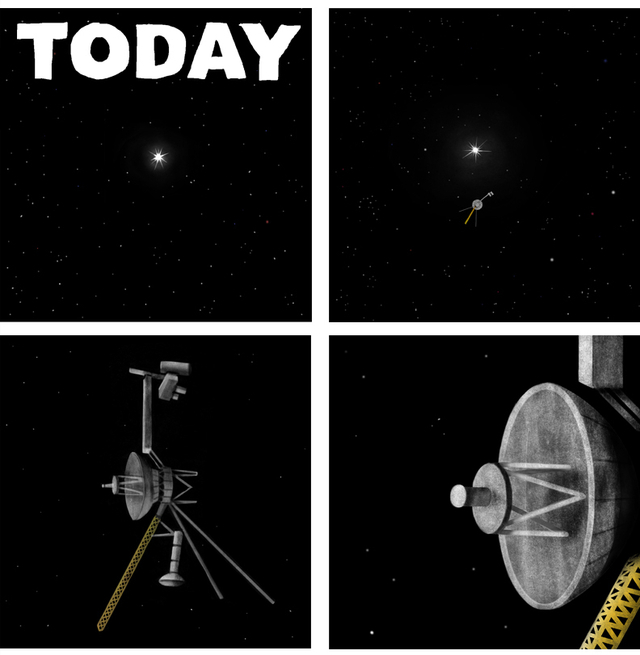 By being a human artifact made in a particular place and time—the summer when Luke Skywalker hit theaters, Rod Stewart’s “Tonight's the Night” was a hit, and Carl Sagan and Anne Druyan were falling in love—Voyager is a mobile bubble of history. If the Elon Musks of the world succeed, others will be joining it soon. 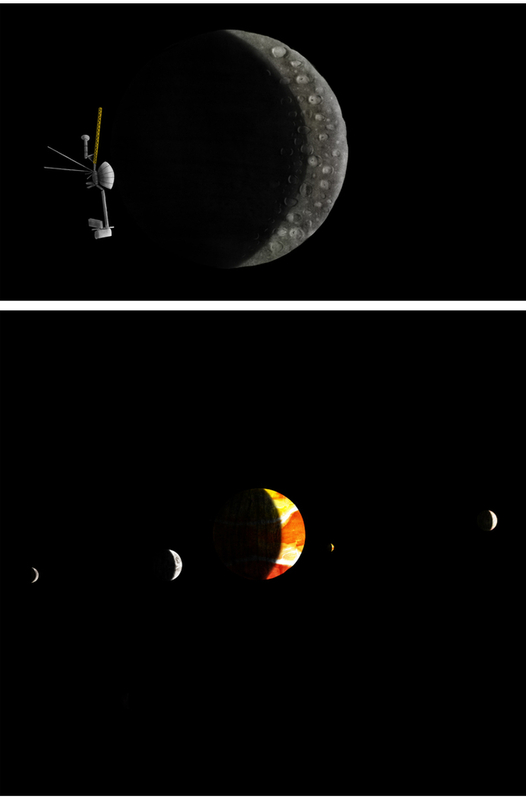 History’s sphere will expand outside the Earth, and maybe someday outside the Solar System. Anywhere humans or human objects go, we leave traces that will become part of an ever-expanding past. For now, though, the only material artifacts of human history out there in the void beyond Pluto are a hopeful letter from a Georgia peanut farmer and a mixtape from the 70s.